Lalitha Aunty sent me this song since today is Tulasi Pooje. 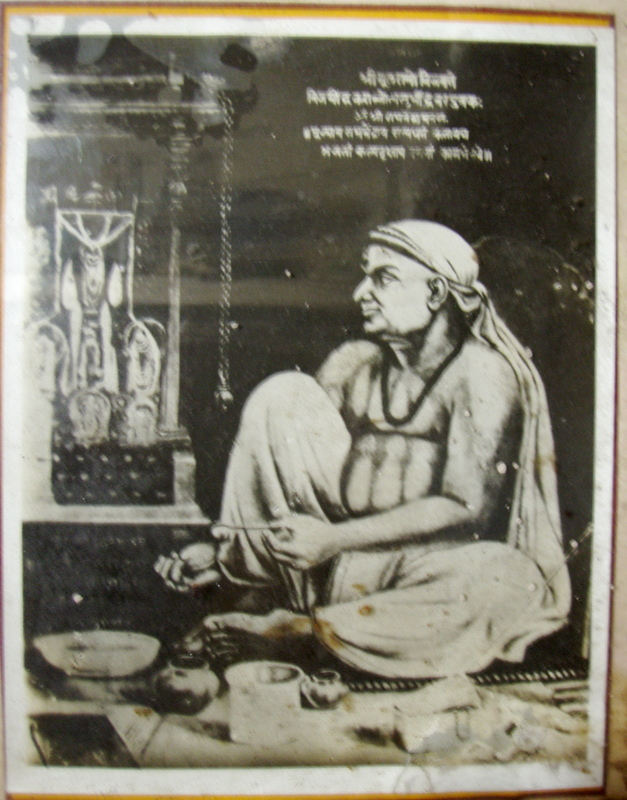 This Devaranama is from Purandara Dasaru in Raga Kalyani and Adi tala. Thanks so much, Aunty. This is yet another Tulasi Sankeerthaney. The lyrics and audio are provided Ms. Rekha S Srinivasan. Rekha was able to record this song with the help of her Husband, and also her friend Muthu Kumar. Thanks Rekha & Family and also to Mr.Muthu Kumar for providing us with such a rare song. Attached is the audio on youtube. Ms. Rekha S Srinivasan has recorded this song for us. The lyrics are also provided by Rekha, which again is posted on the blog. Rekha was able to record this song with the help of her Husband, and also her friend Muthu Kumar. Thanks Rekha & Family and also to Mr.Muthu Kumar for providing us with such a rare song. Thulasi Kalyaana Haadu Lyrics provided to us by Ms. Rekha S Srinivasan. Thanks again so much Rekha. 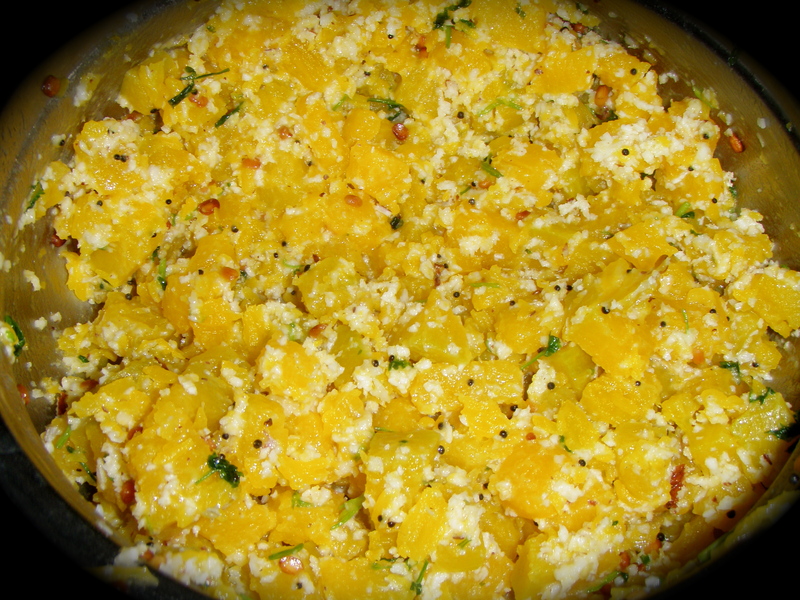 Sweet Pumpkin also called as Sihikumbalkayi in kannada is often prepared in Madhwa houses for many occasions. 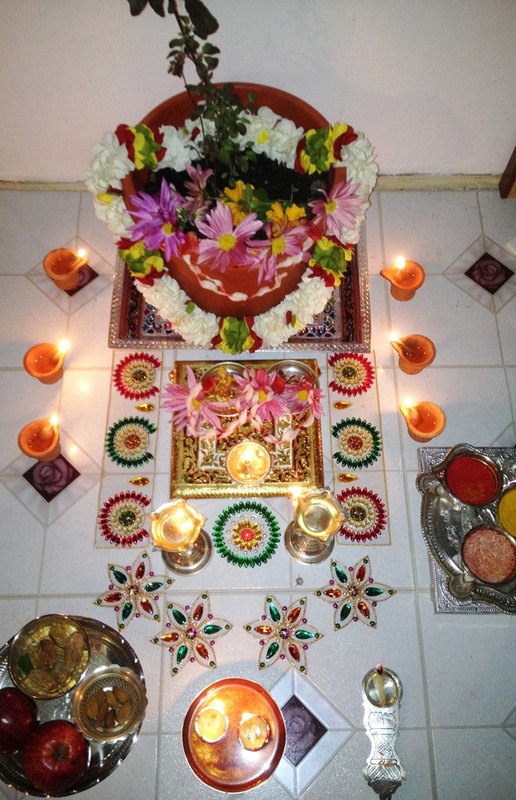 This palya was prepared in my Brother-in-laws house for Mahalaya Amavasya. It is very tasty, and very simple to make also. They use a lot of coconut in Bangalore, I would completely eliminate this quantity, and just use 2-3 spoons of coconut. * Wash, peel the skin, remove the seeds and chop pumpkin evenly. * In a pan, add oil. When the oil is heated, add mustard seeds, hing, turmeric, channa dal, urad dal and red chillies. * When the dal changes color next, add the pumpkin and a few spoons of water. Cover and let it cook. * When the pumpkin is soft, add salt to taste. Mix well. * Finally, add coconut, and chopped cilantro. * Serve with rice or even with chapathi. * Tastes very good with Rasam and Rice (Saaru Anna) :). 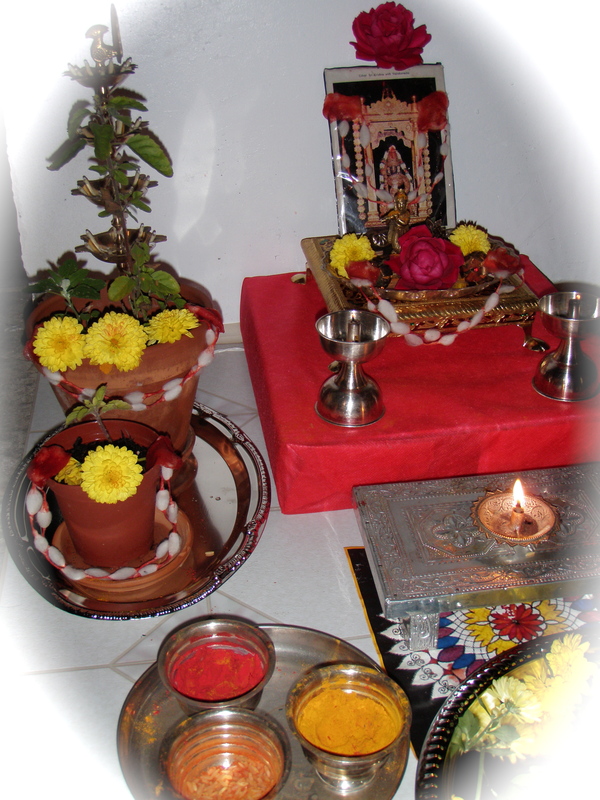 Attached below is the Tulasi Sankeerthaney provided by Ms. Rekha S Srinivasan. Thanks so much, Rekha. 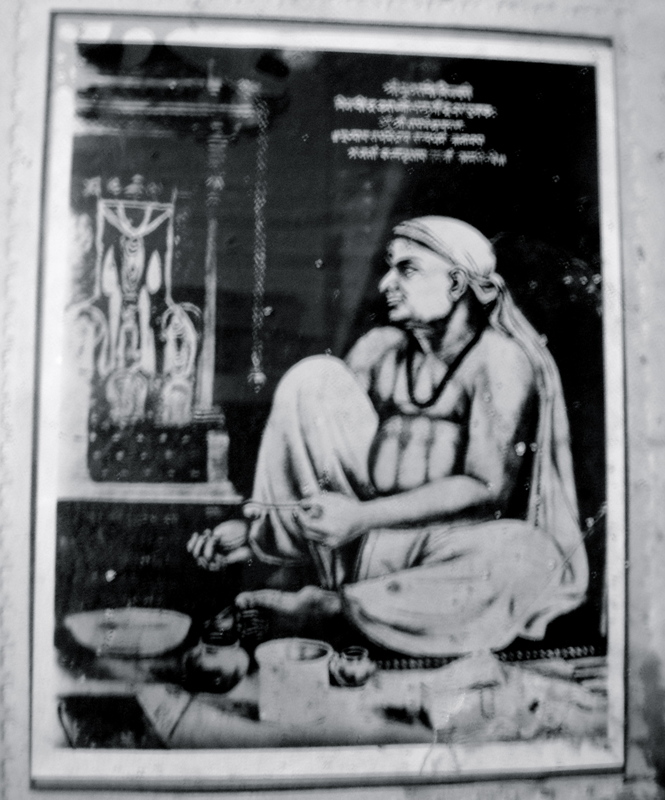 My Uncle had given this picture of Shri Raghavendra Swamigalu to my Mother almost 30 years back. My Mom was ready to give me this picture, but since both my parents are great devotees of Rayaru I didn’t want to take the Photo. It seems someone had painted Rayaru while performing pooje to Moola Rama Devaru. The Photos we are normally used to seeing is completely different from the one we have down here. Amazing to see our Rayaru, and really imagine how he actually looked. I took several pictures in my camera and attached below are two such pictures in which you will see how our beloved Rayaru was.You can see how old the picture is. May Shri Raghavendra Swamy Bless us all.